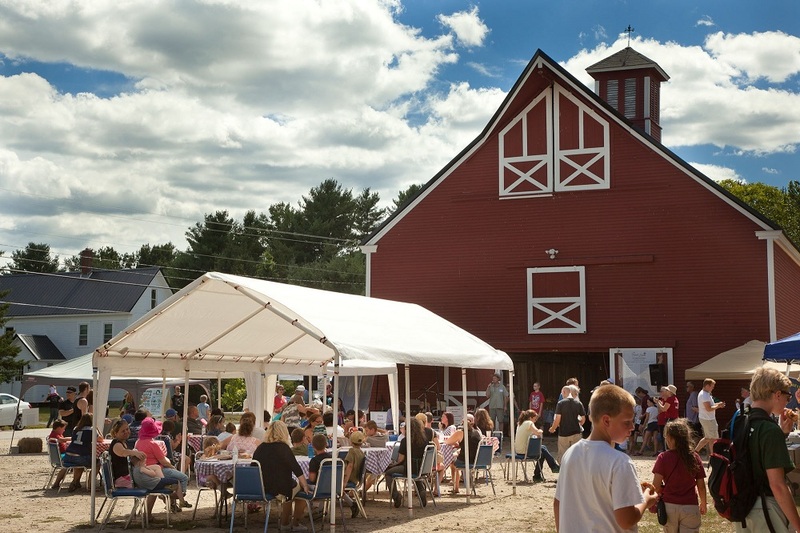 Moose Mountains Regional Greenways’ 16th Annual Woods, Water & Wildlife Festival will take place on Saturday, August 11 from 10 am to 3 pm at Branch Hill Farm, 307 Applebee Road, Milton Mills, NH. This day-long celebration of the great outdoors regularly attracts more than 600 participants who make the most of this chance for families to have fun, explore and learn about the natural world together. The Festival offers many fun learning experiences for children. 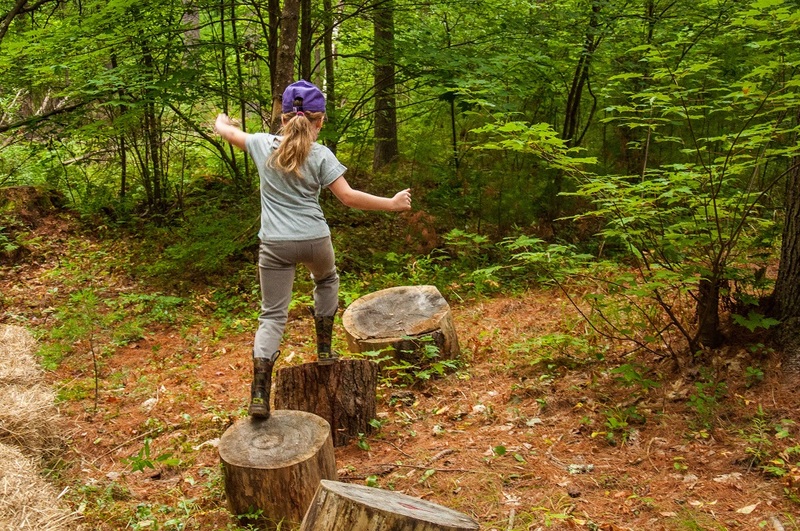 In Nature’s Playground, kids swing on a rope, jump between log stumps, climb on a treehouse, walk along a fallen log and find something new to play on each year. Children use a crosscut saw to cut a thin slice of a pine log, then decorate it in Tree Cookies/Kids’ Craft Corner. Families test their observational skills to discover hidden treasures in the woods in the Kids Discover the Forest event. Build a Bee House provides materials and instruction for kids to make a house for native bees, using hollow plant stems, clay, and plant pots. Animal and wildlife lovers have several opportunities to get up close and personal with a variety of creatures. 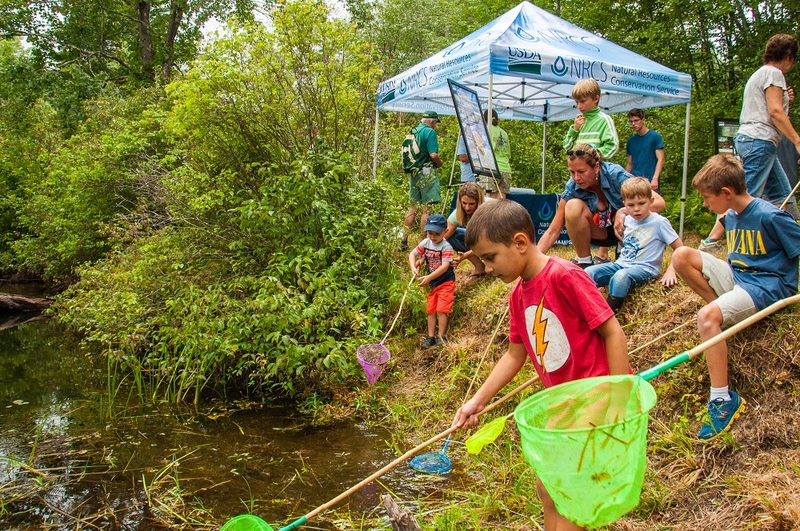 Families observe and learn about rescued wildlife brought by Squam Lakes Natural Science Center; children use dip nets to look at creatures of the Salmon Falls River or borrow a pole and bait from NH Fish & Game to catch a fish from the farm pond. There are barnyard animals brought by 4H, Mitchell Logging draft horses to watch scooting logs, and animal pelts to touch in the Mountain Man’s Mansion. 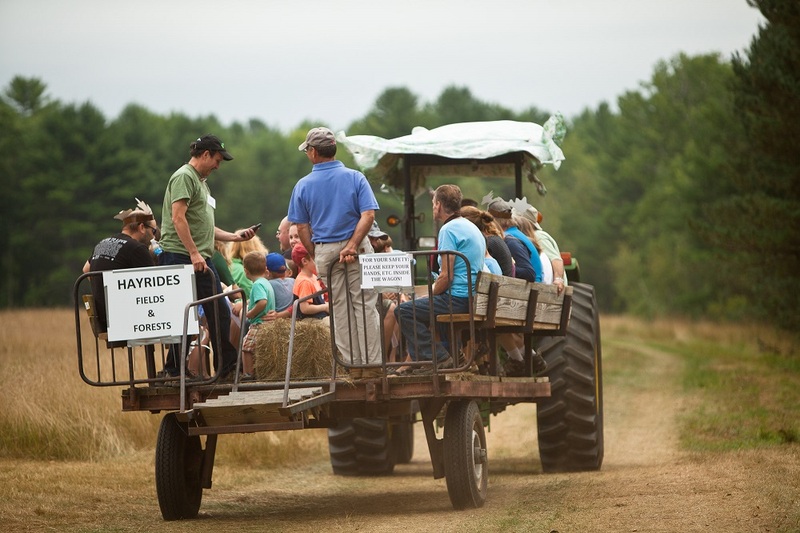 Two different Hayrides run all day, giving everyone a choice and chance to ride. A Guided Family Forest Walk takes families on trails through the woods. The Permaculture Garden has meandering paths among raised beds of organic vegetables and is part of the Steps to Sustainability, as is Here Comes the Sun, a demonstration of solar panels by ReVision energy. Volunteers from the NH Farm Museum and local craftsmen and orchardists demonstrate traditional rural skills. The Moose Mountaineers will be back with their toe-tapping tunes on guitar and fiddle. The festival takes place rain or shine. Homemade salads, desserts, hot grilled food, and cold smoothies will be on sale along with T-shirts and raffle baskets of local fresh produce and other items. Rest rooms and most events are wheelchair accessible. No pets, please. The cost is $5/person or $10/family and free to ages 12 and under and to MMRG members; all events are included in the admission price. For more information and a program of events, visit www.mmrg.info/festival. Festival proceeds and business sponsorships support MMRG’s land conservation and educational outreach mission. MMRG is grateful to its festival underwriters, Branch Hill Farm/Carl Siemon Family Charitable Trust, D. F. Richard Energy, and the Siemon Company, and would like to thank the following major sponsors:, the Hays-Dombrower Families, Norman Vetter Inc. Poured Foundations, Bruce and Jennifer Rich, S&S Plumbing and Heating LLC, Carl and Beth Ann Siemon, Hank and Junko Siemon, and the Wyatt Family. Thanks also go to many more business, organizational, and individual sponsors and supporters and to the dedicated volunteers who have already signed up to help out. More volunteers are needed; please call Education Coordinator Kari Lygren at 603-978-7125 or email info@mmrg.info. Business sponsorships of festival events are still available; information is on a link from the festival webpage listed above. Moose Mountains Regional Greenway is a non-profit land trust serving Brookfield, Farmington, Middleton, Milton, New Durham, Wakefield, and Wolfeboro (see www.mmrg.info). Branch Hill Farm/Carl Siemon Family Charitable Trust is a private operating foundation (see www.branchhillfarm.org).